Mobile - How can I practice with a tutor in English Ninjas? 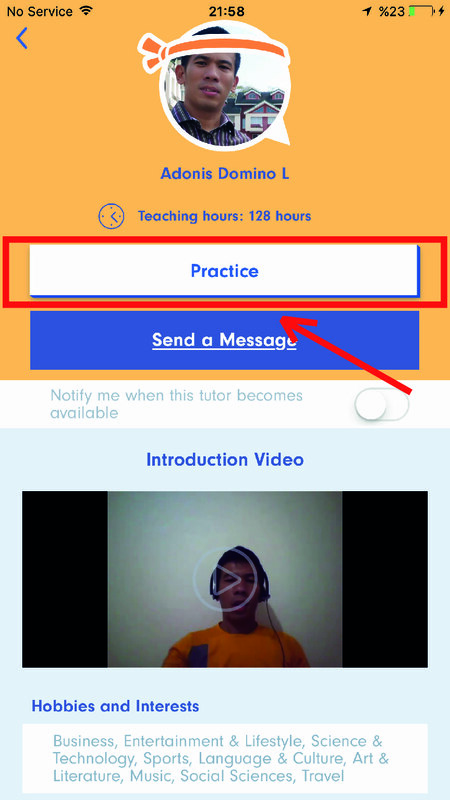 You can easily practice English with any tutors from English Ninjas mobile applications. 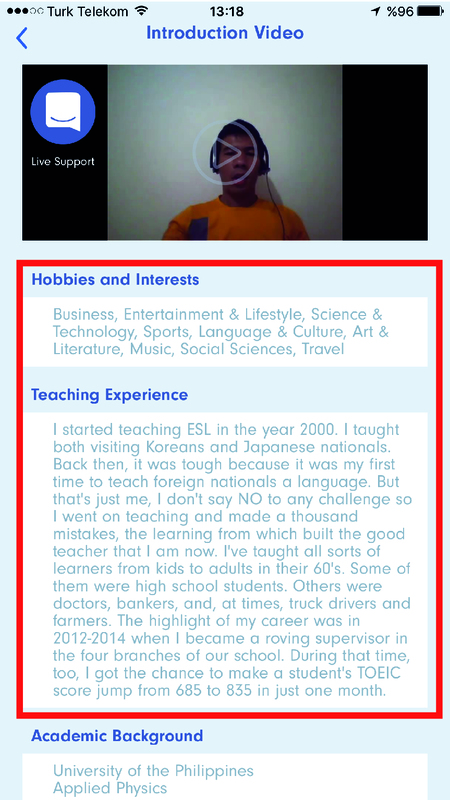 On English Ninjas, there are hundreds of expert tutors who are native speakers of English. The number of our tutors is constantly increasing. Each tutor is interviewed by our Director of Education and only the qualified candidates are hired to join our team. 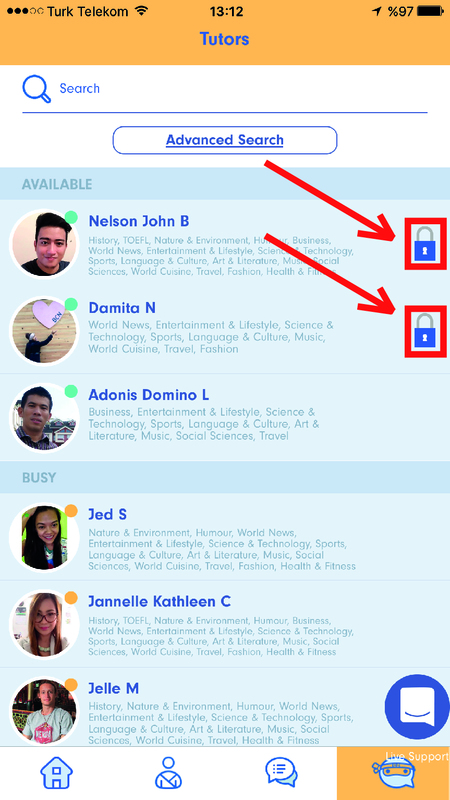 If you have not purchased a subscription package yet, you can only have access to a limited number of tutors. Some of our tutors are available only to our subscribers. You can have a one-on-one conversation with any tutor who is accesible to you. 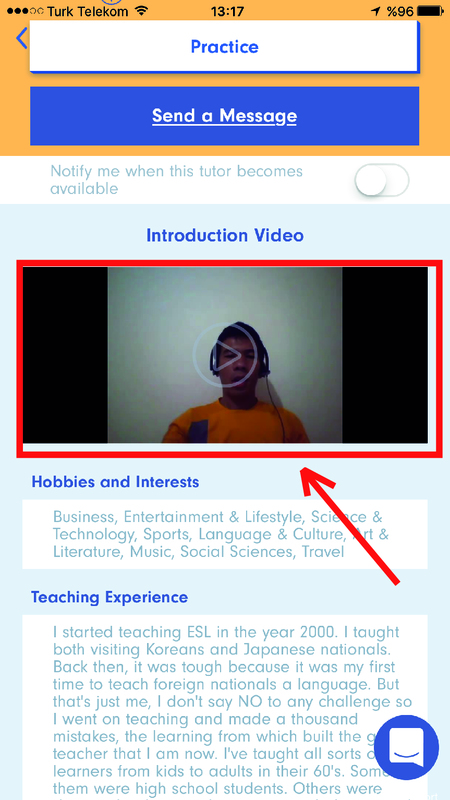 On each tutor's profile page, you will find a video introducing herself/himself. You can have an idea about our tutors by watching these videos. Additionally, you can also find out about our tutors' areas of interest, experience and expertise by visiting their profile pages. After acquiring all this information, you can have brief conversations with tutors of your choice and select the tutor most suitable for yourself. In order to do this, you just need to go on the tutor's profile page and click on the practice button. When you click on the practice button on our home page, your practice session will be initiated with any tutor who is available and accessible at that point in time.